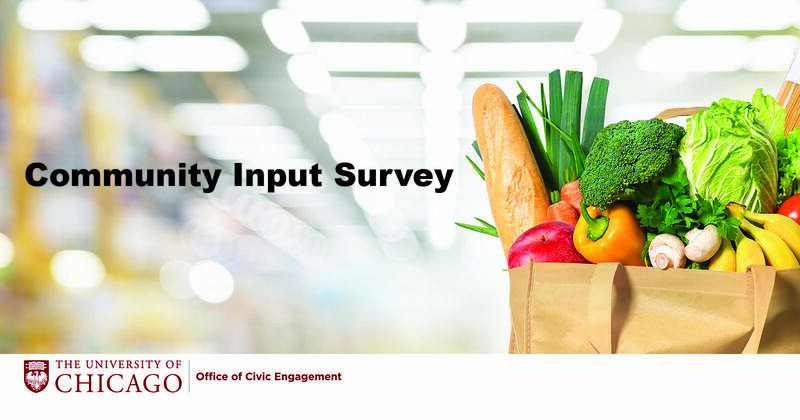 The University of Chicago’s Office of Civic Engagement and Real Estate Operations (REO) group invites the community to participate in a brief online survey regarding a future grocery store tenant at the former Treasure Island Foods space at the Hyde Park Shopping Center. People who live and work in Hyde Park and the surrounding areas are invited to complete the nine question survey, indicating the type of products, services, features, and other amenities desired by the community. The survey will be open from November 1 through November 18, and results will be made available as soon as possible. Participants may access the survey at https://www.surveymonkey.com/r/hydeparkgrocery. Names and email addresses are not required to complete the survey, and people are invited to share the survey link with others. The University’s Real Estate Operations group is working diligently to identify new tenants for the former Treasure Island space. Community feedback continues to inform the search process, and the survey results are hoped to be a key additional resource.